Ups for sale are 12pcs of assorted Jap lures all BNIB. 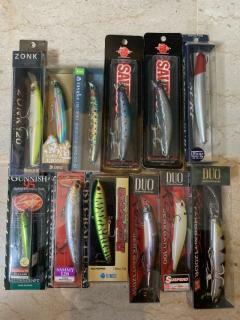 Some are long discontinued and hard to come by especially the saurus lures. Interested parties msg me at 91997330.